Caramel popcorn is definitely for times when the sweet tooth takes over, but I have a hard time resisting snacks that are salty and sweet, especially cheap ones. 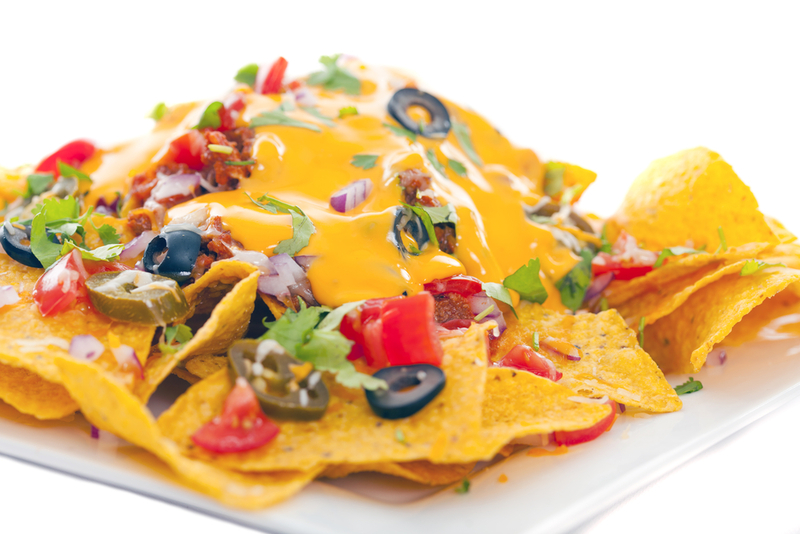 Most sweet and savory snacks I love include chocolate. Chocolate covered pretzels, chocolate covered potato chips, honey-roasted peanuts, etc. But in this case, we got a sweet caramel instead. When a friend of a friend came to Costa Rica to live for a few months from The States, she brought with her an amazingly cheap no bake cookie recipe that started with homemade caramel, which holds the cookies together. After getting through the majority of the cookie-making, we quickly realized we had too much caramel. That was no problem though, we’re quick thinkers and have popcorn kernels ready at a moment’s notice. Not too long ago I had a birthday, which brought a fabulous new air popper. My husband bought it while we were traveling to North Carolina two weeks before and managed to hide it from me until my actual birthday. His hints toward the gift was simply that I would probably use it every day. My first thought went to a juicer, but knew that wouldn’t fit inconspicuously in his luggage, so I was stumped. However, when my birthday finally arrived, he was right, I WAS going to use this every day. You can’t get a much cheaper snack than homemade pop corn! So naturally, I broke out the air popper for breakfast and made my first batch of air popped popcorn. Amazing. Super-light and fluffy and there’s a convenient place to heat the butter to drizzle over the top. Alright, back to the caramel popcorn. With the extra caramel from the no-bake cookie recipe, we knew we couldn’t let it cool or it would become solid, so we left it on the stove on low and cranked up the air popper. In just a few minutes we were ready to toss and eat it. The only drawback to how we went about this batch of caramel corn was the amount of caramel, which was too much. We could have done twice or three times the amount of pop corn and coated them a little thinner. But, it’s also hard to keep it fresh without going stale since we don’t have the luxury of preservatives like the commercial caramel popcorn companies do. So, I recommend eating it all in one batch, as we didn’t have very much success storing it for later. But if someone has a suggestion for this, PLEASE let me know. I’d love to have this stuff on hand. 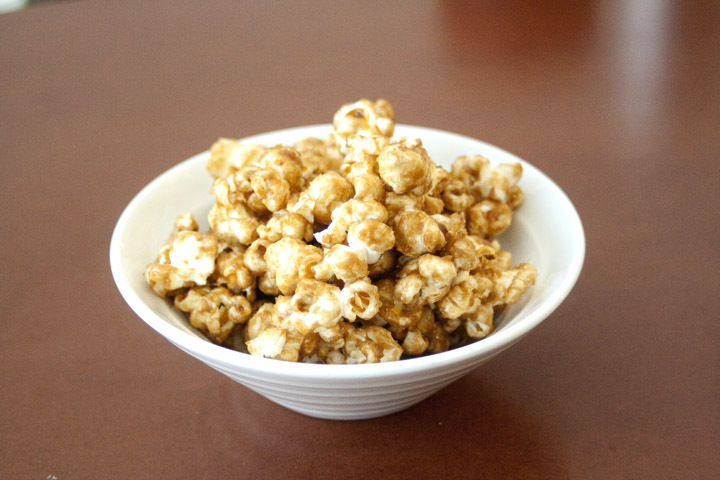 Below is the recipe for a large batch of homemade caramel popcorn, which can easily be adapted to include all kinds of delicious extras (mini chocolate chips or peanut butter, etc) but this is the basic recipe. Since some of the caramel was first used in no bake cookies, you can safely half the recipe if you are only feeding, say four people. Enjoy! In small batches on the stove top or with an air popper, cook the popcorn and place it into a giant bowl (stainless steel works best, but plastic or glass is alright). 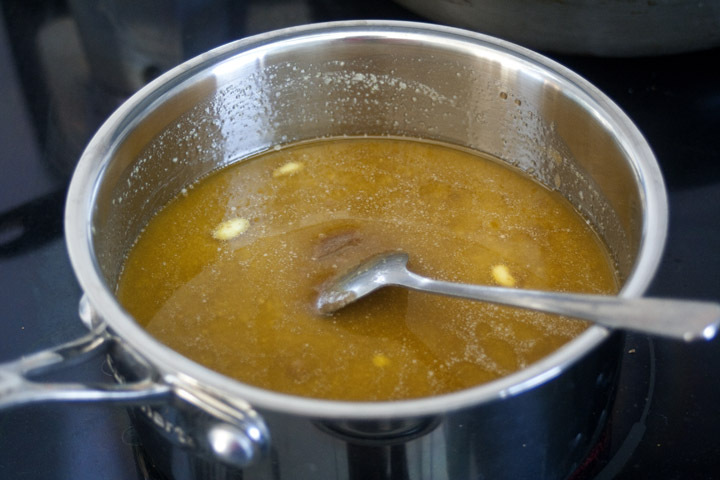 In a small sauce pan, combine the brown sugar, corn syrup, butter, and salt and bring to a boil (4-5 minutes). Remove from heat and add baking soda, vanilla and cinnamon. 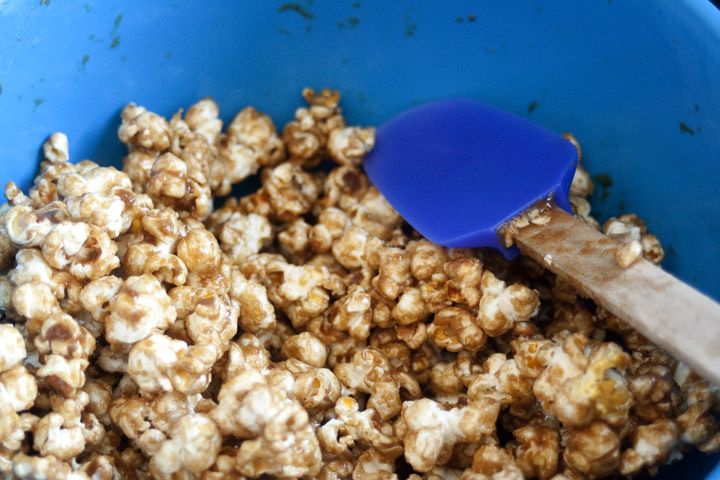 Slowly drizzle the caramel over the cooked popcorn, mixing constantly to coat evenly. Do this slowly until your popcorn is coated to your liking and let cool for 2-4 minutes. Make more popcorn to coat with any extra caramel you have. 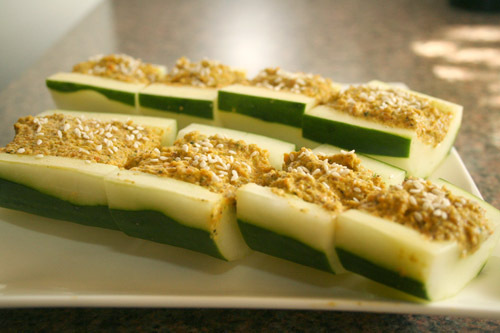 Sprinkle lightly with salt and serve.